Tottenham began their public preseason fixtures in the early hours of Thursday morning (UK time) with a 4-1 thrashing of Roma in the International Champions Cup, held at the at the SDCCU Stadium in San Diego. While all was rosy on the pitch, this marked the second time in two years that the Lilywhites have begun a tour in America without making a summer signing. With Liverpool spending big, Chelsea employing new boss Maurizio Sarri and Manchester City breaking their transfer record to sign Riyad Mahrez, there is no doubt that the competition at the top of the Premier League will be stronger than ever this season. Spurs also had more players than any other club in the semi-finals of the World Cup, a pretty amazing nine in total, so will be missing the core of their side until they return from holiday a week before the Premier League season begins. Who have they already faced? Tottenham’s preseason this summer began with two friendlies played behind closed doors at their Hotspur Way training ground. The first was a 6-0 thrashing of League One side Southend, in which winger Erik Lamela netted a first-half hat-trick. The 26-year-old Argentine recently signed a contract extension at Spurs, having struggled since joining from Roma in 2013, but will be looking to hit the ground running this season. Fernando Llorente and Lucas Moura both also netted against the Shrimpers, with substitute Tashan Oakley-Boothe scoring the game’s final goal and the only one of the second half. Up next was a hard-fought win over Championship side Brentford, where Georges-Kevin N’Koudou scored a late winner after Llorente’s first half goal was cancelled out by Neal Maupay. Spurs’ first televised game of preseason came against Roma, and after falling behind early on, Spanish striker Llorente scored his third and fourth goals of preseason to put the North London side ahead. Moura also added two more in the first half to make it 4-1, before both managers rang the changes in the second half and the game petered out. Next up for Spurs are two more big games in the much-maligned International Champions Cup, which will be missed by the World Cup stars who made it to the sharp end of this summers’ tournament in Russia. First comes a tough test against La Liga champions Barcelona on July 29, who will also be without Lionel Messi after his Argentina side made the last 16. Pochettino won’t be too worried about the result of the game, but a win would certainly get the fans excited. Tottenham’s ICC campaign will then come to an end against AC Milan in Minneapolis on August 1. Finally, a trip to Girona on August 4 – a week before the Premier League opener against Newcastle – will give the Tottenham boss a last chance to look over his squad before the transfer window closes. Will there be new signings? With the window closing earlier this summer (August 9), chairman Daniel Levy will need to act soon to ensure that the squad is strengthened with new additions. The Evening Standard recently reported that Pochettino was sure that new players would be coming in to the new White Hart Lane stadium this summer, although the lack of activity so far may worry the Argentine boss who called for Levy to be bold and take risks earlier in the summer. 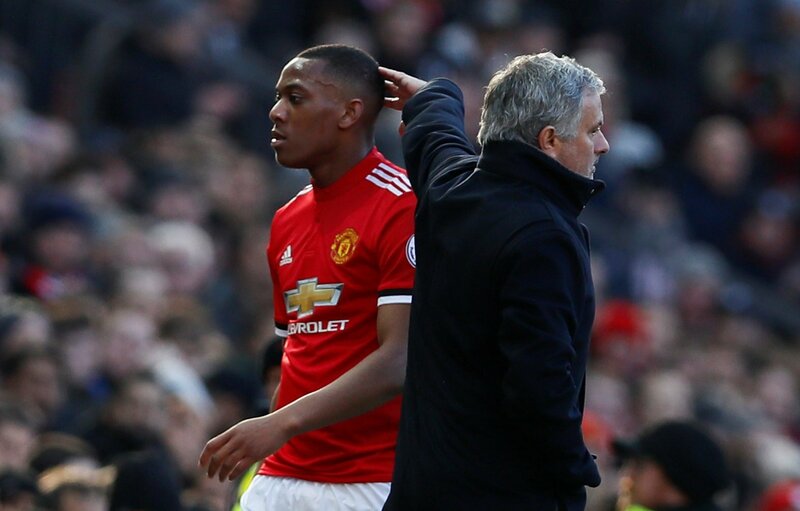 Toby Alderweireld has been strongly linked with a move away, but The Independent reports that Spurs want Anthony Martial included in any deal for the Belgian centre-back. Given that Heung-min Son will miss the start of the season while playing for his country, this would be an important signing. Spurs would then also need to buy a centre-back to act as cover for Jan Vertonghen and Davinson Sanchez, alongside 20-year-old Juan Foyth. Which players need to prove themselves? Despite his four goals so far in preseason it may be too late for Llorente to save his Spurs career, with The Sun reporting that Pochettino is ready to offload both him and £17m flop Vincent Janssen. Alongside wingers Moura and Lamela, this could be the summer for new young players to prove themselves at Spurs. Kyle Walker-Peters and Josh Onomah in particular will be hoping to convince Pochettino to keep them around the first team rather than sending them out on loan, and Luke Amos has already caught the eye after starring from deep midfield in the win over Roma. As well as Amos, who spent last season on loan at Stevenage, Football.London reported that Pochettino was full of praise for the academy products who came on as substitutes in the game in San Diego. Anthony Georgiou, who impressed on last season’s US tour, replaced Walker-Peters with seven minutes to go and did no-wrong. Fellow academy stars George Marsh and 17-year-old Oliver Skipp both also made their first ever appearances for the first team and put in assured performances. With a few current squad players stepping up to the plate and these exciting youngsters coming through, Tottenham will definitely be around the Champions League places again if they can start the season well enough without Kane and co.